Microsoft has always been a company with an upper hand over its peers and in fact always attracted the best talent around the world. 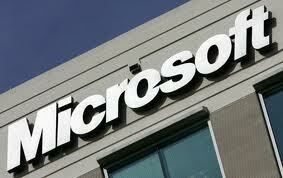 Microsoft has its presence in hardware, software and services space that makes it the most sought company. But in the recent past many of the Top Brass employees have left the company and have joined companies like Facebook, Nokia etc. Leaving Microsoft! These are the words we keep hearing from Redmond – of late! So to retain its senior management, Microsoft is now planning to hike salaries of its employees and also give Stock awards to its promising employees. Through our history, we have been THE place people came when they wanted to make a difference in the world through software, hardware and services. This is as true today as it has been at any time in our history, and the changes we’re rolling out today will help ensure Microsoft continues to be the place that top talent comes to change the world. Microsoft will be raising salaries and will also be converting the portion of the employee stock awards into his base salary. The transformation of the stock awards into base cash pay is mainly due to the fact that Microsoft share prices are still at the same prices as they were 10 years ago, and also due to the 10% rise given by Google to its employees. It was becoming hard for the $50 Billion enterprise to retain the top most employees of the company so this move could very well calm the nerves of the anxious employees who were expecting more. Microsoft Online business and recent Xbox 360 success and the rising popularity of IE9 and Windows Phone 7 opens various new horizons for the employees and the company which coupled with this will be sufficient to retain the top brass and even to hire new better and efficient workforce.